The agency announces Eduardo Salles’ promotion to executive creative director and the hiring of André Havt as creative director. 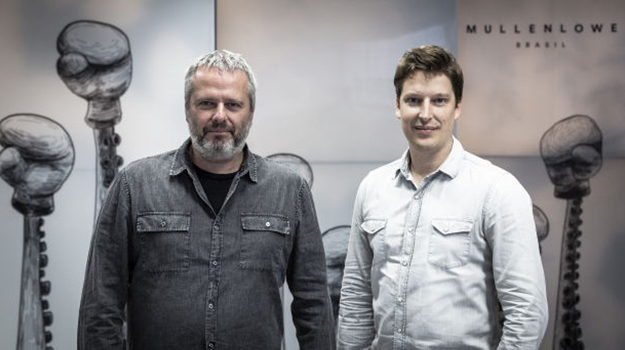 Reinforcing its promise of integration and innovation, MullenLowe Brasil has announced the arrival of André Havt to the creative team. Havt will join the recently promoted executive creative director, Eduardo Salles, in leading the department. Art director and graduate in photography, Havt comes from NBS where he directed the creative team in the São Paulo office, winning a number of important awards including Lions at the last two Cannes Festivals. The restructuring of MullenLowe Brasil has shown itself to be more robust each time in order to continue delivering work that surpasses the client’s expectations. The restructuring of the groups to integrate online and offline media further strengthens the agency’s philosophy for their work. The new arrangement, which was looking to reform itself while surpassing the Media team’s objectives, also moves forward with the purpose of adding greater relevance to how people experience the world, becoming more in tune with their client’s brands.